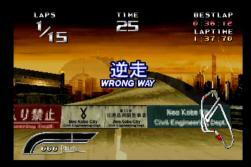 This page is dedicated to the obscure title Neo Kobe 2045 Speed King for the Playstation. All the images are scaled down from their original size, but if you are curious and would like to see the images in full size, just click over them. 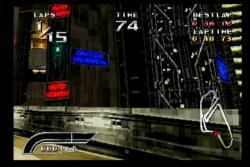 The reason that this page is hosted at Junker HQ and gets this much attention is simple, the game is placed in Neo Kobe as an obvious reference to Snatcher, with a lot of tiny details that need to be mentioned. 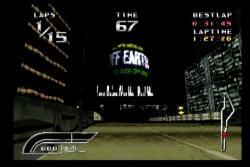 It is known that this game is advertised in Policenauts, as stated in the U.K. Policenauts Resource. I have not played the game in depth and some of the info may be incorrect. I do not claim to know all about this title, these are just my findings, assumptions and the info kindly provided by Arkhound, from the Metal Gear .net Forums. 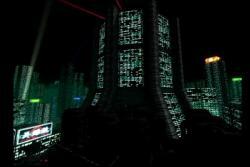 All of this would be impossible without the help of James, from Shadow Moses who helped me get my hands on the game, in the first place. 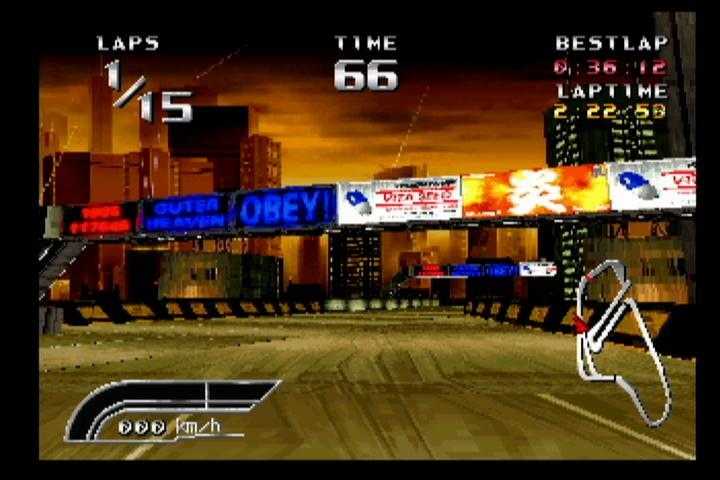 The game's theme is racing, and it does well at that. 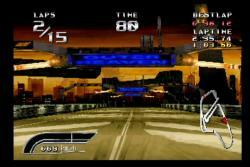 It is an arcade port, where the game got a great treatment on a full motion rider cockpit that moved with the high speed action of the game, where you are able to make quick turns by tilting the vehicle completely on sharp edges.. As far as I know there is also a Sega Saturn Version of this game. 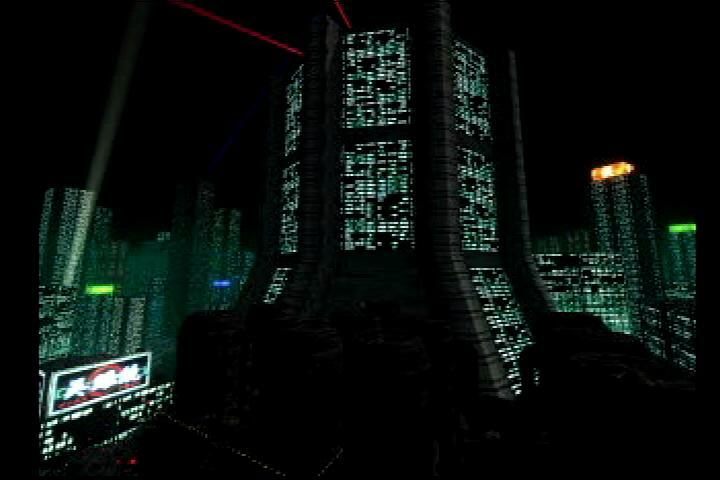 As you can see in the image above, the title screen, Neo Kobe is shown as a futuristic city in a style that greatly resembles Blade Runner, in the same manner as in Snatcher. 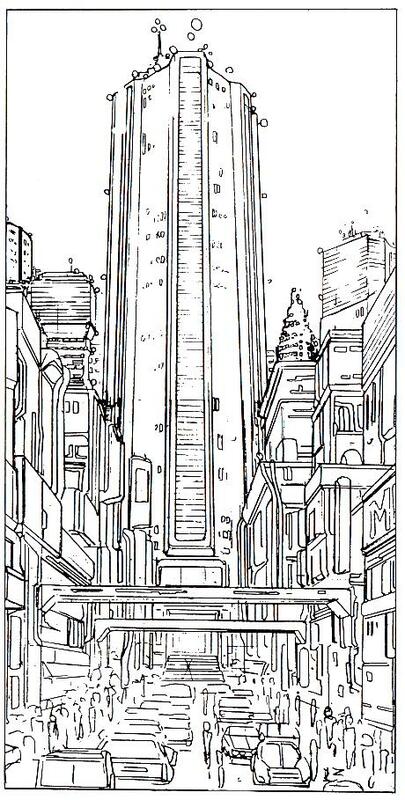 I presume that the building shown in that image, and in one below is a conception of the "Konami Omni Building" where Junker HQ is located. 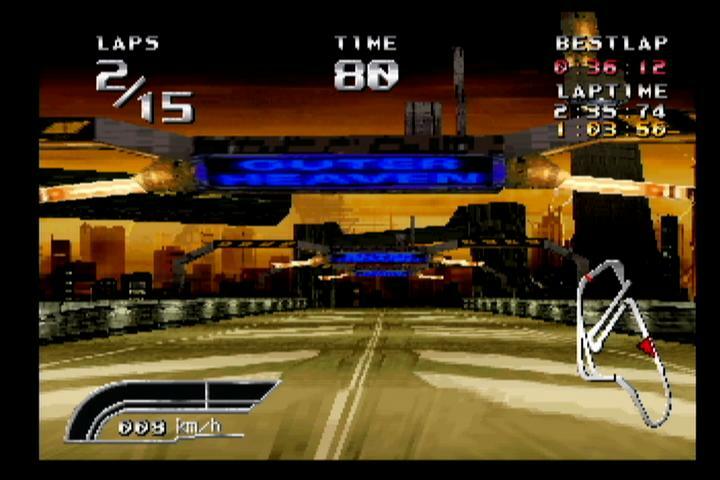 Most of the captures are from signs and screens that are in the tracks of the game, which you can sometimes watch in full splendor, and in other cases you need to pay close attention. 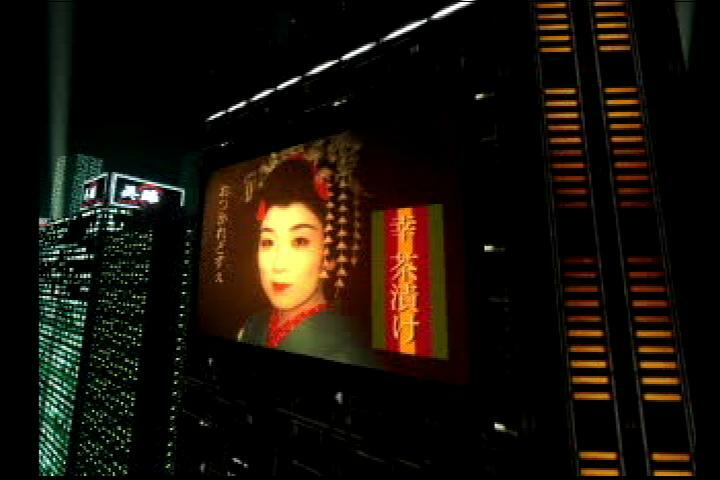 Here is an image from the intro of the game, as you can see the similarity is impressive and most obvious. 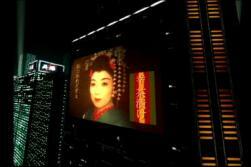 A nice tribute indeed Another "Off Earth" reference from Blade Runner and Snatcher as well. (Different wording in BR, but same in Snatcher). 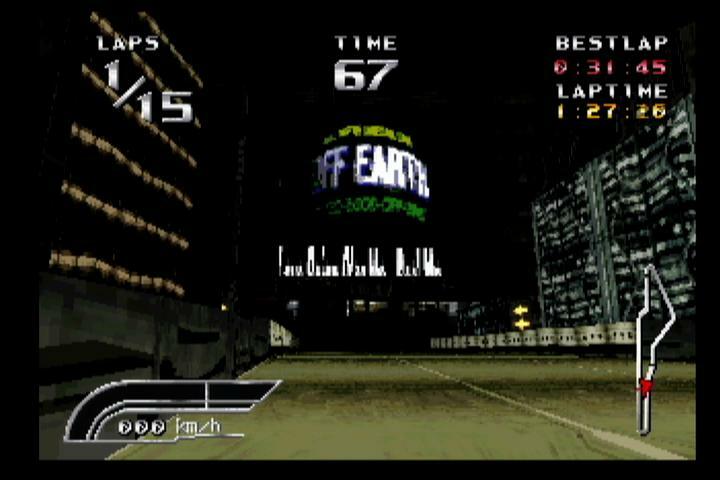 This is a capture of a rotating globe that is on a screen. This is the view while you fall from a jump, it is one of those "advertisement" ships that had a big screen and floats around the city. I can't read what it says though. Then we have the team METALSLAVE logo. Since I played the PC-88 version of Snatcher this logo catch my eye and has been sort of a mystery to me. Of course I know it is the team that worked on that game, and obviously on this one as well. The logo is also shown in the last page of the MSX 2 version manual. It is also worth of notice that Matsui (the Superviser for the PC88 and MSX 2 versions of Snatcher) used Metalslave as his nick during the interview on the Snatcher "Radioplay" Liner Notes. You can view the actual logo (which is barely identifiable in the textures of the screens below) at the PC-88 Snatcher information page. 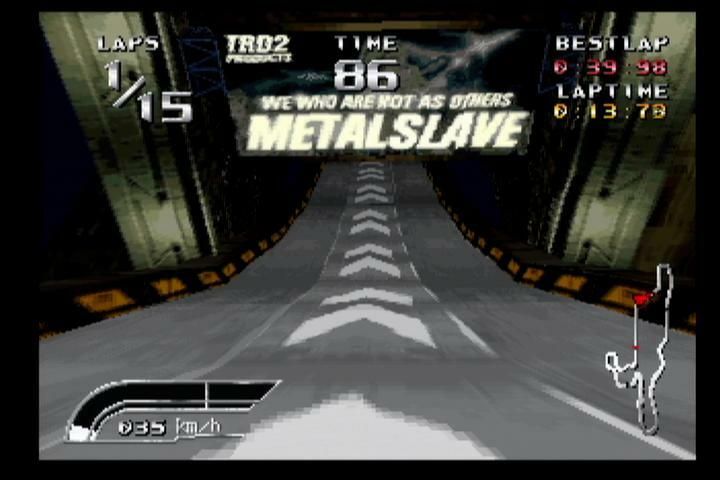 METALSLAVE has also been used as a trick password in some Konami games, mainly for the MSX 2. 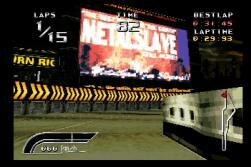 The "We who are not as others" phrase used in the screens below taken from the game is the name for a track by Sepultura (Chaos A.D. album, track 9) under that precise name. 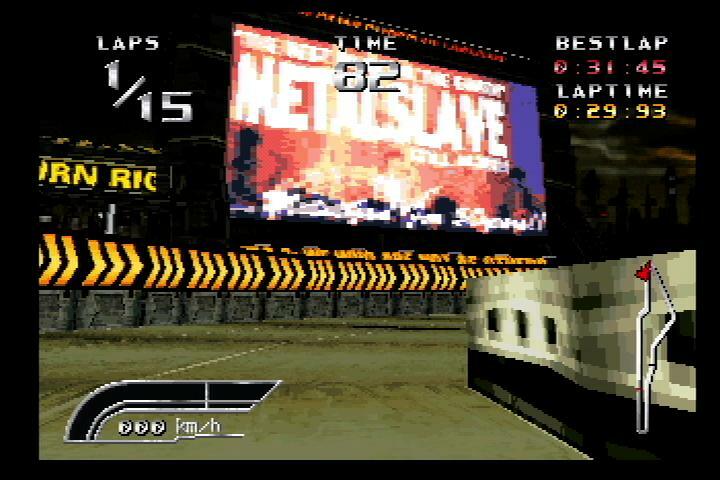 That added to the name METALSLAVE and the logo with what appears to be guitars in these pictures shows the musical preference of the team leader clearly. To this Arkhound adds: "MetalSlave Matsui's real name is Naoki Matsui and he was credited as "superviser" [and "disitaizer"] in both, the PC88 and MSX versions of Snatcher. He was most likely Kojima's boss during his MSX days. 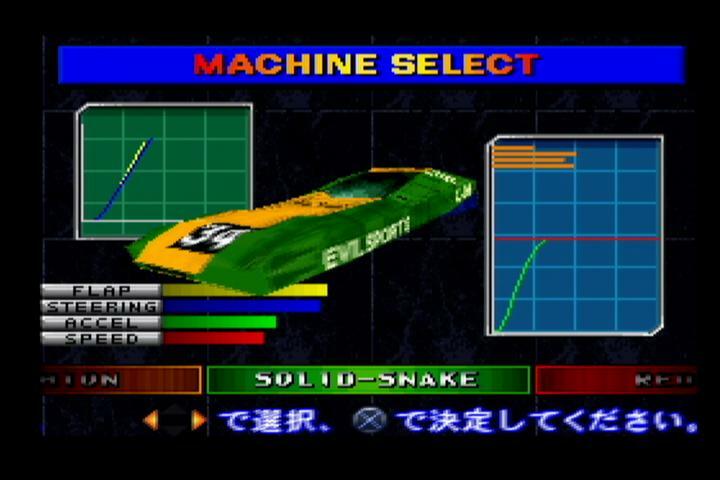 From what I've been told, Konami divides each of their team by their lead game designer. 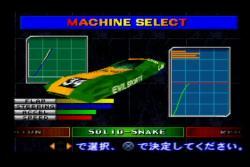 For example, the team that did the NES versions of Contra and Salamander was called Team Umechan, after it's leader Shigeharu Umezaki." "What's interesting is that after Konami stopped supporting the MSX, most of their MSX teams were assigned to do Game Boy games. 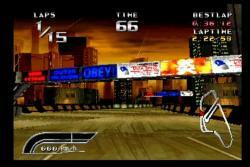 Matsui's name credited on TMNT: Fall of the Foot Clan and GB version of Nemesis according to Mobygames. While Hiroyuki Fukui (the MSX programmer for Snatcher and Metal Gear) did quite a few Game Boy games for Konami himself." This one is barely readable. 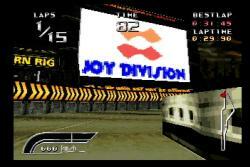 It is displayed on an animated screen that also has the "Joy Division" logo during the first track of the game. 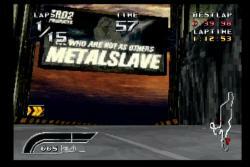 "We who are not as others METALSLAVE" is displayed on this one which has a more identifiable character on the background. This one is more readable, when entering a tunnel on the third track. The next Sign on the road simply spells KCET. 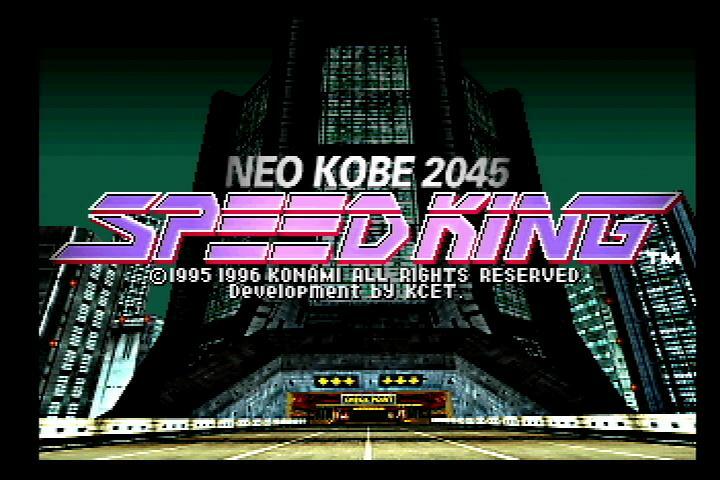 If you get a game named "Neo Kobe 2045 Speed Kind" made by Konami with that design, you obviously are expecting references to at least some Snatcher material. 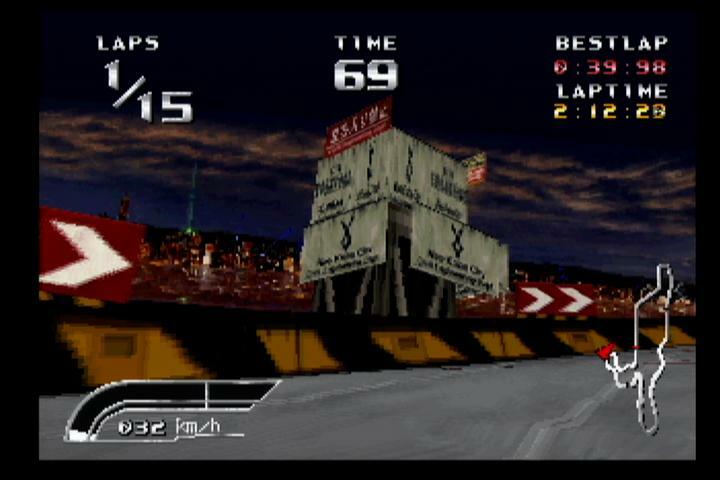 During the into, at the title screen and during one of the tracks, there is one building that appears to be a reference to the Konami Omni Building, from Snatcher. 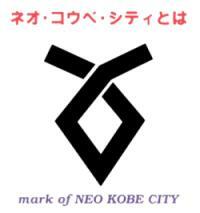 The other references are more direct, such as the neo Kobe City Mark (to the right), which appears on some signs along the road and on the closed tracks, above the Neo Kobe City Engineering Dept. boards that block the road. 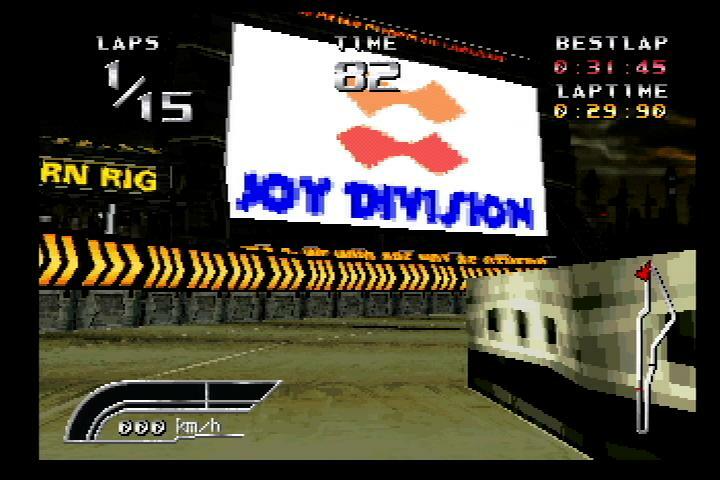 Another notorious one is the "Joy Division" reference, with the modified Konami logo that was used on the Japanese versions of Snatcher (in the US release the name was changed to Plato's Cavern, keeping the rotated Konami logo for the famous black market that Gillian and Metal Gear visit). As you might know, this is one of Kojima's favorite music groups. These are obvious and simple. They consist mainly of lots of signs that read "OUTER HEAVEN" in blue and red along the track, and the name for one of the cars: Solid Snake. 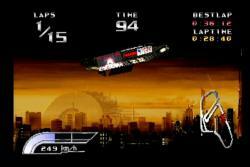 And even more Outer heaven. Be thankful I didn't take all the signs.